If you’re unhappy with the way your teeth look, there are multiple cosmetic treatments that may be able to transform your smile and give you the movie-star grin you’ve always wanted. Porcelain veneers in Enfield are one of the best options for folks who are looking to make over their pearly whites. Let’s take a closer look at this remarkable treatment. What Are Porcelain Veneers, and What Can They Fix? Typically, veneers are just used for the top row of teeth because those are the ones that other people notice the most. However, this treatment may also be suitable for your bottom teeth. What Is the Process Like to Get Veneers? 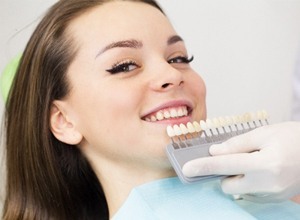 The first step in getting veneers is to visit your dentist for a consultation. They’ll make sure that your teeth and gums are healthy enough to support your new smile. It’s possible that they’ll recommend you get your teeth whitened before you commit to veneers. That’s because the shade of your veneers will be as close as possible to that of your natural teeth, and since veneers don’t respond to whitening treatments, bleaching your teeth after they’re installed could result in your smile looking a little mismatched. 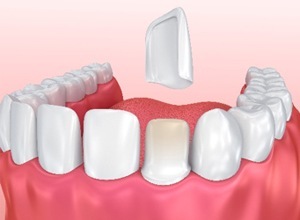 The actual process of receiving porcelain veneers usually takes two dental appointments. During your first visit, your dentist in Enfield will prepare your teeth. This involves removing a very small amount of enamel from your teeth; this step is to ensure that the veneers will align well with your natural smile. Then, your dentist will make an impression of your teeth and send that information to a laboratory, which will craft your custom veneers. While you’re waiting for your veneers to come in, you may wear a temporary cover over your teeth. When you go in for your next appointment, your dentist will install your fabulous new look. How Can I Get the Most Out of My Veneers? One of the best things about porcelain veneers is that they can last for a long time; with proper care, it’s possible that they’ll be with you for well over a decade before they need to be replaced. To make sure that they stay looking good for as long as possible, though, it’s important that you stick to an excellent oral hygiene routine that includes brushing, flossing, and biannual dental visits. Also keep in mind that while veneers are resistant to stains, they aren’t invulnerable. It’s a good idea to limit your consumption of things like coffee, wine, and other dark foods and beverages. In the unlikely event that one of your veneers breaks or comes off, simply make an appointment with your dentist, who may be able to repair your smile. If you’re interested in learning more about veneers, one of our talented dentists would be happy to chat with you!